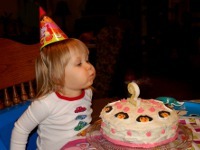 Planning a party for your young child is even easier when you use this categorized list of young childrens party ideas. Little kids parties NY come in all types - from mommy and me parties to first birthdays, make your little one's birthday special! Find more age specific parties in NY by using this local resource. We provide for you a range of entertainers and party places that are specially geared toward kids 0-4 years old so you can celebrate your child's 1st birthday party NY in a memorable and fun way. 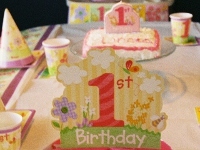 Guide to first birthday party NY. Here is a list of ideas for toddler parties in NY. When you are stumped and don't know what to do for your little one's birthday, check out these great toddler party services NY has to offer.